Leaders who want to keep an edge at work should hone these three soft skills, says Jacqueline Carter, author of The Mind of the Leader. She sat down with James Gimian, Mindful's Executive Director. Jacqueline Carter and Rasmus Hourgaard of Potential Project recently published The Mind of the Leader: How to Lead Yourself, Your People, and Your Organization for Extraordinary Results, a book about how awareness can allow you to be an effective leader. The Garrison Institute hosted a book launch event with Jacqueline that was moderated by James Gimian, Executive Director of the Foundation for a Mindful Society. The following is an excerpt of their discussion. James Gimian: What was the motivating force behind your writing The Mind of the Leader with Rasmus Hourgaard? Jacqueline Carter: We wanted to find out what the key challenges were facing leaders today, and some of the things that could really support them to be able to be the more effective leader they wanted to be. What we found, in particular, when we started really getting into it, is there’s really a leadership crisis. That was really the first point of call for us is that, when we look at—and many of you are probably familiar with the Gallup surveys that come out every year, in terms of how many people are engaged. We know that, in terms of the global workforce, 24% of the global workforce is actively disengaged at work, and that number seems to be increasing every year, instead of going in the other direction. We found surveys, including one that said 65% of employees would forgo a pay raise to see their leader fired. And the other thing was perception. There was a McKinsey study that identified that 77% of leaders thought they were doing a pretty good job leading. They thought that their people were pretty engaged. 82% of their people disagreed. So, just this real disconnect. A lot of leaders are saying they’re not necessarily being the effective leader they wanted to be, to support their people, to support their organizations. We partnered with Harvard Business Review, just an incredible partner, because we wanted to make this a research adventure for us, and we thought if we just interviewed all of our own clients, nobody would buy the book, because it could possibly be regarded as a self-selected study that wasn’t valid. By partnering with Harvard, we were able to assess over 35,000 leaders in over 72 different countries. We were able to interview over 250 C-suite executives. We engaged leading researchers specifically looking from a neurological perspective, so neuroscience. In addition to that, we did also tap into our very extensive client network. What we found is that three qualities came up again and again and again, in terms of how important they are to be able to address the leadership crisis that so many of us experience today. The first one is mindfulness. Just to give a simple definition, just being able to be here now. Being able to be present with the people you’re with, with the task at hand. Because if we’re not, we’re wasting our time and everyone else’s. And being present in today’s crazy work is actually a lot more difficult than we think. So, these are simple in principle, but not easy. The second quality that we identified—and it was just so inspiring to us to hear this from leaders—is selflessness. The definition for that is not letting our own egoistic tendencies get in the way, and egoistic tendencies can be about self-preservation. It can be also feeling vulnerable and not wanting to share that with other people, because you’re going to seem weak. So, not letting our own egoistic tendencies get in the way. And the third one is compassion. We heard this from CEOs who talked to us about how critical compassion was today in organizations, because we live in such complex world—many of us are working with people that we may not even see on a regular basis. We’re trying to bring more diversity into our cultures, because there’s so much benefit to that. But we’re working in such under-pressure environments that, if we don’t take care of each other, if we’re not kind to each other, if we aren’t intentional about really making sure that we support and care about each other, we’re not going to be able to perform well, we’re not going to be able to collaborate well, and we’re not going to be able to meet the challenges we’re all facing. We’ve got to be more in this together. We’re working in such under-pressure environments that, if we don’t take care of each other, if we’re not kind to each other, if we aren’t intentional about really making sure that we support and care about each other, we’re not going to be able to perform well. Building trust, building cohesion, is really part of a strategic aspect of compassion, including compassion also being having tough conversations with people so that we can grow and develop. Those were the three qualities. James Gimian: How do you bring this into organizations? 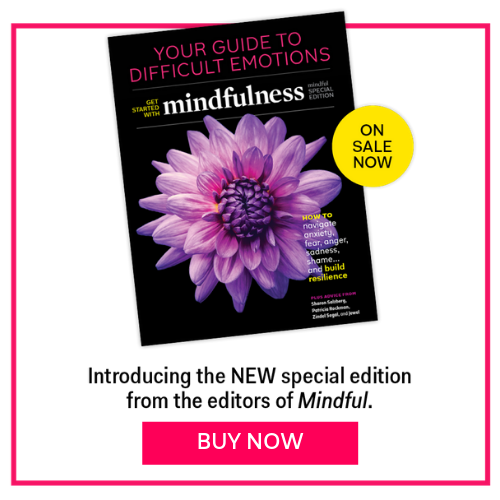 We’ve heard that places like Target and Walmart are starting to call the skillsets that mindfulness prepares people for—things like emotional regulation and better collaboration—are actually power skills, and they want them in the employees that they need for the future, so they’re adopting these kinds of training programs. Are there other examples you can give us? Jacqueline Carter: One organization is Accenture—a global consulting firm we work with that has up to 400,000 employees. They are focused on consulting, strategy, technology, very fast-paced, very dynamic—the life bread of Accenture is based on the minds of people and how much they care about them. It was actually really inspiring to us. One of the stories that they shared with us a number of years ago—and this is really about the changing nature, I think, of workplaces today—is that a number of years ago, they went public in The Washington Post. Ellyn Shook, who is the CHRO, and Pierre Nanterme, the CEO, basically said that after many, many years of using their performance-management system, which was basically, like many of us have probably experienced, that annual review leaders and employees hate. You go through this horrible process where you fill out how well you think you’re doing, and I fill out how well I think I’m doing. Then you have this horrible meeting that is just so de-motivating for everybody because it’s based on things that are so outdated and wrong, and then you get a rank for how well you’re doing, and that actually determines whether or not you get a bonus this year. Everybody hates it. They said after many, many years of having this performance-management system that served them, they were completely ditching it because they realized that, if they were going to actually engage people and focus on their people and build a more resilient, more kind, more caring—more “truly human” was actually the word that they came up with, where human beings were coming to work. Managers were not having annual performance reviews, but were having real conversations with people. They were not going to be able to continue to be successful in terms of engaging not only their existing workforce, but definitely the workforce of tomorrow. So, they completely threw out that performance-management system, and they introduced instead the opportunity for people to just have really good conversations with their employees about their development, and looking at being present. That’s part of where these skills came in. If I’m not just checking boxes, I have to actually sit down and be present with you and ask you questions and make sure that I’m engaging you, and make sure that it’s not about me, that it’s actually about “How can I support you and your development?” That’s really where these qualities that used to be seen as “soft” qualities were actually the ones that the leaders needed most. So, the most successful and effective leader is no longer the one who had the smartest strategy or the best spreadsheet. It was really the leaders who could be able to inspire—because these are practices; it’s not about being perfect, but to really be able to support and cultivate human potential. So, that’s one example. They see mindfulness as a strategic imperative—especially with Accenture, just to give a case study. And it’s not to say that they’re perfect by any stretch of the imagination, and they would not say that they were. What they see is their people are too busy, they’re under too much pressure, they’re always on, and they’re completely distracted. They’re not able to be their best. It’s not just about health and well-being. It’s actually about performance, because, again, if your people are not able to be present with each other, if your leaders are not able to be present with their team, they’re not able to develop them. They’re not able to realize their potential. James Gimian: So, we’ve always had exemplary leaders, inspiring leaders, and the leadership of Accenture sounds that way. How do we go from that to the area that you’ve long worked in, the whole culture change or organizations (which we all experience as toxic)? Can you give us a hint, from where you sit, about how much you think it’s possible, and what the steps or the signs might be to go from a growing number of inspired companies and leaders, who are doing as you say, to something that stands a chance of actually transforming the workplace in our society? Do you see that happening? And if so, how and when? Starting culture change doesn’t have to be necessarily big, lofty ideas. When we’re working with organizations, it can be really simple entry points. A simple entry point could be—meetings. Jacqueline Carter: Culture change is tough. The thing that we’ve seen over and over again with the organizations that we work with is that we have allowed things like technology—just to use a really simple example—creep into our lives, creep into the workplace, and become endemic as part of our culture, without us really challenging actually: Is it serving us, or are we serving it? So, a lot of times—and I think that this is where we really look—starting culture change doesn’t have to be necessarily big, lofty ideas. When we’re working with organizations, it can be really simple entry points. A simple entry point could be—meetings. Why is it that most of our meetings are so ineffective? Most of the time, it’s because people are simply not fully present. They’re not paying attention. They either walk in and they’re still in the last meeting that they were at, or they’re thinking about all of the things they have to do. Maybe they’re subtly checking their device underneath the table when no one can pay attention. Then when I do that, you start looking at it, too, because you’re thinking “Okay, it’s okay.” Or maybe it’s even worse. We’re on a conference call, and we’re not using video, so nobody knows that we’re not actually paying attention, because we are so pressed for time. And what does that do to the quality of our collaboration? It means meetings take longer. It means that we’re not as present with each other. And it’s an illusion. We’re multitasking and it’s a total illusion. We think that we don’t have a choice, and that’s become acceptable within corporations today. It’s crazy, because we know, from a brain science perspective, we actually can’t multitask. And when we try to, we’re less efficient, we’re more stressed, we make more mistakes, and we’re not actually very good colleagues to work with. And so you talk about culture change—culture change doesn’t have to be big, lofty shifts: we’re all gonna be mindful. So, when you talk about case studies and entry points and how we start with organizations, sometimes it is as simple as that. The organizations we’ve worked with can have a huge ROI, because what people find—surprise, surprise—when we’re actually all paying attention to each other, meetings take less time, there’s more agreement, and there’s more alignment. There’s less need for follow-up, because people were actually there when they made the decisions, so they actually know what the decision was. It sounds so basic. Here we are, talking about leadership and trying to save the world—which I would love to talk more about—but why don’t we start with just something simple about the culture, and look for small ways? That simple change can then build to: Okay, let’s look at something as simple as prioritization. Or something as simple as: How do you bring more creativity into the workplace? Or what about that inbox? What about your mechanisms for interoffice communication? When you start to just kind of pick off some of the pain points—that’s what we really look for when we work with an organization. What are some of the pain points that everybody experiences as being tough? What if we could just pick off some of those easy ones to get some quick wins? The way to do it is just a little bit of mindfulness practice so that you can be a little bit more self-regulated. James Gimian: Our experience, in talking to leaders at corporations and non-profits shows that desperation is a big motivator. When people say, “Why, after all this time, mindfulness is of interest to people in the corporate sector?” It’s because nothing else has worked. It’s remarkable. This article originally appeared on GarrisonInstitute.org.